Their leading product is the PC based NET 2 system. The access control software that is at the heart of this solution is able run several different door controllers. In essence they have 3 main door controllers all designed to fit into different scenarios dependant on the layout of the site. In summary these are the Net2 classic, the Net2 plus and the Net2 nano. The classic is their oldest model and is an RS485 based system. Each controller will fit above a door that needs securing and will accommodate 2 readers. One in and one out. The whole ethos behind Paxton’s success has been that it is able to fit into just about every situation required and remain cost competitive. 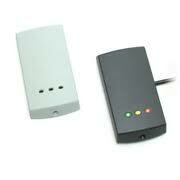 For more doors just add another controller and the two are integrated together using simple 485 communication. Add up to 500 doors in this manner and up to 50,000 users and you have a very flexible solution. As we start to move into a situation where IP access control is now at the heart of many security installations Paxton introduced the Net2 plus. This is an IP based controller and sits easily on a PC network. Still happily able to integrate with the classic you are able to mix and match controllers in order to gain the most cost effective solution. Not to be outdone by their competitors the forward thinking staff at Paxton also realized that wireless controllers could also cut the cost of installations in certain cases. This is where the Net2 nano comes into the equation. A wireless door controller it can connect to the network through a 2.4GHZ radio path that uses a bridge at its heart. Once again the nano fits seamlessly in with both the classic and the plus to ensure that no installation is made difficult. Paxton Net2 has become a favorite amongst installers because aesthetically the readers look good, the system is very competitively priced and it seems that customers needs can always be answered. There is little this access control solution can’t do. 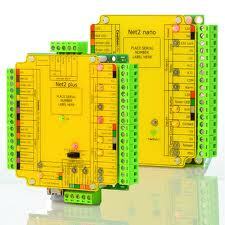 It also must be noted that its not just doors that can be run with the Net2 system. Integrated CCTV and building management systems are easily achievable. Safety features, such as only letting authorised operators start their machines means that everyday uses For Net2 can be everywhere. With this in mind Paxton produce many ancillary products to ensure seamless integration between different security and building management solutions. Vandal proof readers, keypads, biometric fingerprint scanners can all be integrated into the the controllers and they do not have to be Paxton products. So takeovers and upgrades are always achievable. With a website that is is one of the best in the security industry, technical support for registered installers is always at hand and downloads of the latest firmware always available. Paxton also operate an excellent loyalty scheme that ensures that installers are always keen to go back. Perhaps however the most important point of all. Reliability is second to none. The units all manufactured at a specially designed factory site in Eastbourne Paxton are UK through and through. So if you are considering installing an integrated access control system then Paxton Net2 and all their associated products should be high on your priority list. This entry was posted on Wednesday, March 9th, 2011 at 05:17	and is filed under Access Control. You can follow any responses to this entry through the RSS 2.0 feed. Both comments and pings are currently closed.